We woke up to snow on the ground this morning. 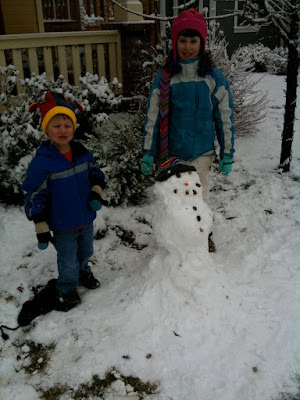 The kids went outside and played for most of the morning making a snowman and fort. 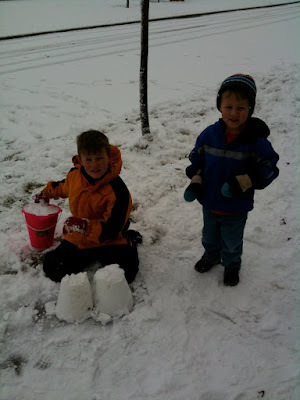 We LOVE the snow!!!! We just wonder if it will last until Christmas!?!? Our Four Cute Kids wish you all a Merry Christmas!!! December has been busy with many different "happenings". We will just post a few of them. We went looking at Christmas lights. This is ONE house and it is SO amazing!!!!!! We thought it was funny that the house next door says "Ditto!" with an arrow pointing to this house. We went and picked out a live tree for our front room. I had won a $50 gift certificate at a local nursery, so we got this tree for 87 cents. I LOVE a bargain!!!!! We made candy cane reindeer for an advent activity. This was a fun project that we did for one of our advent activities. Dad showed us how to make cardinal ornaments for our Christmas tree. We went to Aunt Dee and Uncle Dave's home in Nampa for a Smith Family Christmas party. We love being able to see and spend time with our Great Grandma Smith. We also went to her home at the beginning of December to celebrate her 89th birthday!!!! 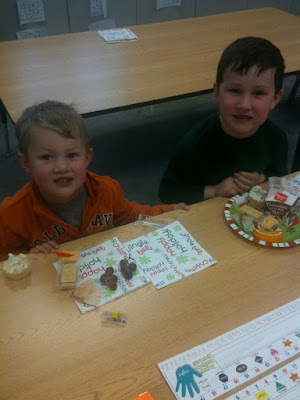 Benjamin and Spencer enjoying yummy treats at Spencer's school Christmas party. Sarah and Andrew had fun parties as well. Andrew had a Christmas Music Program at school. He did a great job! We went to our ward Christmas Breakfast and visited with friends and SANTA!! We had a fun time with family on Thanksgiving! We ate LOTS of yummy food! We had a memorable program! We made FUN projects! We played ALL day with cousins!! We LOVED having Thanksgiving at the barn! Thank you to everyone who made it a WONDERFUL Thanksgiving!! PS. Big bummer that Eliza's mom and dad were sick that day so she missed out on being in the picture! Our Grandpa Smith went to Jerusalem and Egypt and brought back some fun gifts for everyone. 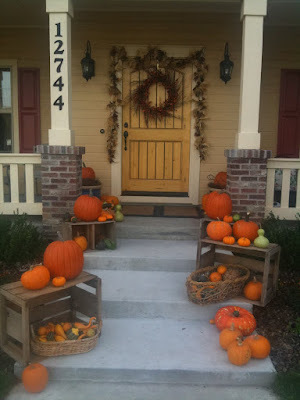 Here are a few pictures of what he brought us. It was interesting to see the videos of his travels and to eat food from Jerusalem! Thanks for thinking of us, Grandpa! We can't wait to wear our gifts when we act out Luke 2 on Christmas Eve. Nathan is wearing real Egyptian clothing. Everyone else is wearing clothing from Jerusalem. Uncle Karl and his boys are wearing clothing from Jerusalem. Don't you think Uncle Karl looks like a REAL shepherd?? 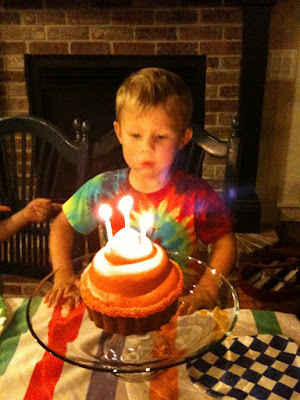 Friday was Benjamin's THIRD birthday!! He started his day opening presents....getting a basketball hoop, a sky ball, Mr. Potato Head and a Clone Wars book. We ended his birthday with having taco salad (he loves salads) and Birthday cake!! 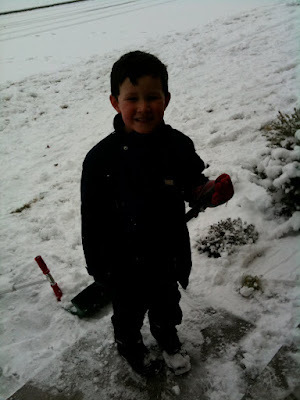 He had a great day and we can't believe how grown up he is!! Can you tell what's on Benjamin's Christmas Wish List? 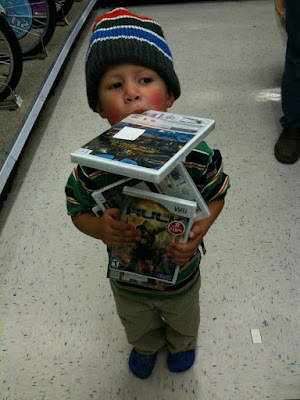 This was Benj today in ToysRUs letting us all know what he wants for Christmas!!! LOVE IT!!!!! On behalf of the Idaho Food bank, Sarah volunteered with her teacher, Mrs. Brooks, and several of her classmates at Walmart today. Sarah has really gotten "into" the donation spirit. She has taken our wagon around the neighborhood to collect items, asked family members for donations and raided our pantry several times. At this point she has brought in the most canned goods of all the students in her classroom. We love her giving spirit!!! Andrew was a SUPER lucky boy on Saturday as he was invited by Bishop and Sister Johnson to go to a BSU game with them and his friend, Collin. 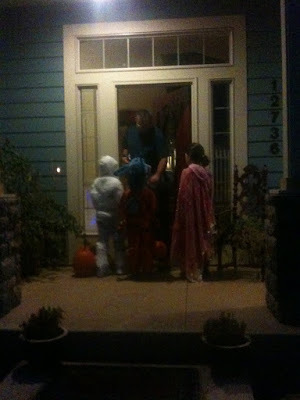 He had an AWESOME time and told us in great detail all about it when he got home. He was SO impressed with the band, the noise, the fog, the players, that they made a touchdown right away and when the kids came out of the helmet. 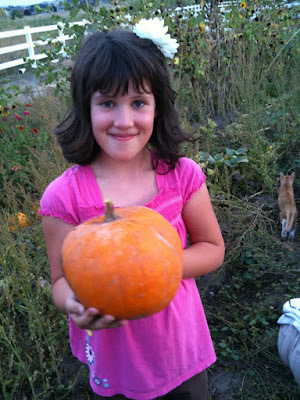 Please go to Sister Johnson's blog and read about it from her point of view. THANK YOU SO MUCH Bishop and Sister Johnson!!!!!!!!! It was a dream come true for Andrew!!!!! 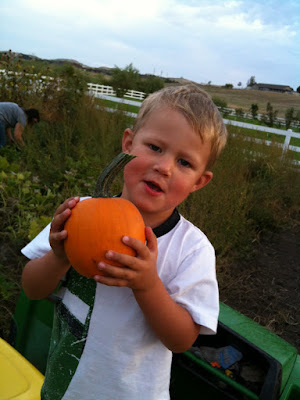 Nonnie and Grandpa have been asking for video of soccer games played this Fall. So, here it is....and it's a little long, so you might want to get a few snacks and settle in for some fun watching. Andrew scores 3 goals in this video. He had a great season and had a fun coach and team. 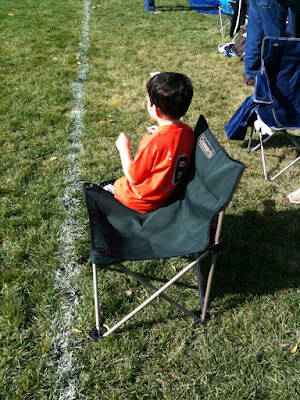 Spencer was very excited to play soccer this Fall as he has sat on the sidelines for several years watching Andrew play. Practices were okay, but actually playing in a game was a bit too scary for Spencer and so he stayed on the sidelines cheering his team on to victory! Way to go, Soccer Boys!!!!! 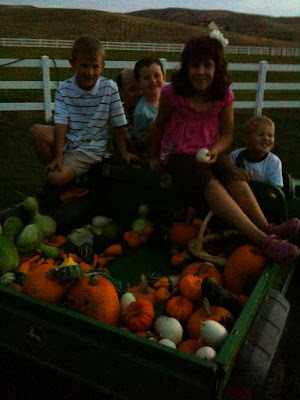 For Family Home Evening we went to our garden and harvested our pumpkins and gourds. 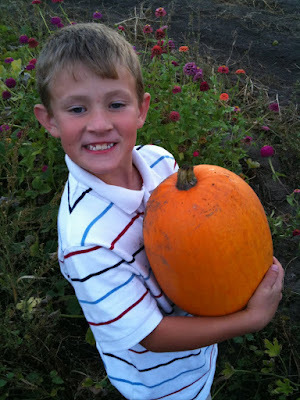 Compared to last year, our pumpkins didn't do as well, but we have enough for our family. Our gourds did fabulous! 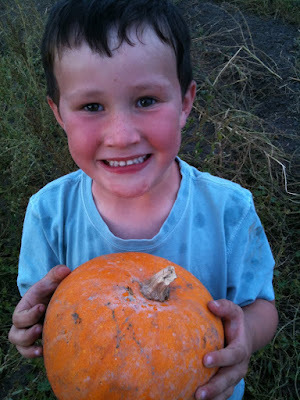 It's always so fun to harvest what we have grown!